80+ 5 star ratings in 3 months can't be wrong! This series fills in all the details about the Fallout world beginning with the Great War in 2077 and progressing through major world events, factions, creatures, technology, and each vault. We'll explore what we know, and speculate about what might be. What is the Fallout Bible and what would have happened in Vault 27? Twitter: twitter.com/falloutlorecast Twitch: twitch.tv/robotsradio Email: falloutlorecast@gmail.com Discord: https://discord.gg/JXKfVhM Patreon: patreon.com/falloutlorecast ROBOTSRADIO.net Join the Fallout community to explore the edge of our knowledge about the world of Fallout. Weekly Lore discussion. Fallout 1 to Fallout 76. Throwing in an extra episode this week - a wonderful interview with my daughter about Fallout and discovering Bethesda's games. Twitter: twitter.com/falloutlorecast Twitch: twitch.tv/robotsradio Email: falloutlorecast@gmail.com Discord: https://discord.gg/JXKfVhM Patreon: patreon.com/falloutlorecast ROBOTSRADIO.net Join the Fallout community to explore the edge of our knowledge about the world of Fallout. Weekly Lore discussion. Fallout 1 to Fallout 76. The New California Republic (NCR) patrols the wasteland in an attempt to re-establish American ideals. Twitter: twitter.com/falloutlorecast Twitch: twitch.tv/robotsradio Email: falloutlorecast@gmail.com Discord: https://discord.gg/JXKfVhM Patreon: patreon.com/falloutlorecast ROBOTSRADIO.net Join the Fallout community to explore the edge of our knowledge about the world of Fallout. Weekly Lore discussion. Fallout 1 to Fallout 76. How 4 movies influenced the creation of one of our favorite game universes. Check out Stuart and Committee Quest here: https://committeequest.podbean.com/ Twitter: twitter.com/falloutlorecast Twitch: twitch.tv/robotsradio Email: falloutlorecast@gmail.com Discord: https://discord.gg/JXKfVhM Patreon: patreon.com/falloutlorecast ROBOTSRADIO.net Join the Fallout community to explore the edge of our knowledge about the world of Fallout. Weekly Lore discussion. Fallout 1 to Fallout 76. How'd you like to be mind controlled by fungus? Twitter: twitter.com/falloutlorecast Twitch: twitch.tv/robotsradio Email: falloutlorecast@gmail.com Discord: https://discord.gg/JXKfVhM Patreon: patreon.com/falloutlorecast ROBOTSRADIO.net Join the Fallout community to explore the edge of our knowledge about the world of Fallout. Weekly Lore discussion. Fallout 1 to Fallout 76. This episode is all about Deathclaws, plus a great question from our Patron Emily G. and reviews. Twitter: twitter.com/falloutlorecast Twitch: twitch.tv/robotsradio Email: falloutlorecast@gmail.com Discord: https://discord.gg/JXKfVhM Patreon: patreon.com/falloutlorecast ROBOTSRADIO.net Join the Fallout community to explore the edge of our knowledge about the world of Fallout. Weekly Lore discussion. Fallout 1 to Fallout 76. Vault 21, where everything was determined randomly. Twitter: twitter.com/falloutlorecast Twitch: twitch.tv/robotsradio Email: falloutlorecast@gmail.com Discord: https://discord.gg/JXKfVhM Patreon: patreon.com/falloutlorecast ROBOTSRADIO.net Join the Fallout community to explore the edge of our knowledge about the world of Fallout. Weekly Lore discussion. Fallout 1 to Fallout 76. This episode we discuss Ghouls! Twitter: twitter.com/falloutlorecast Twitch: twitch.tv/robotsradio Email: falloutlorecast@gmail.com Discord: https://discord.gg/JXKfVhM Patreon: patreon.com/falloutlorecast ROBOTSRADIO.net Join the Fallout community to explore the edge of our knowledge about the world of Fallout. Weekly Lore discussion. Fallout 1 to Fallout 76. Welcome Dave from the Vault Boys WV to the show. We chat about Fallout 76, West Virginia, and what got him into the series. Twitter: twitter.com/falloutlorecast Twitch: twitch.tv/robotsradio Email: falloutlorecast@gmail.com Discord: https://discord.gg/JXKfVhM Patreon: patreon.com/falloutlorecast ROBOTSRADIO.net Join the Fallout community to explore the edge of our knowledge about the world of Fallout. Weekly Lore discussion. Fallout 1 to Fallout 76. Super Mutants. Nuff said. Twitter: twitter.com/falloutlorecast Twitch: twitch.tv/robotsradio Email: falloutlorecast@gmail.com Discord: https://discord.gg/JXKfVhM Patreon: patreon.com/falloutlorecast ROBOTSRADIO.net Join the Fallout community to explore the edge of our knowledge about the world of Fallout. Weekly Lore discussion. Fallout 1 to Fallout 76. In this minisode we discuss the lore behind Vault 19 and the psychology of tribalism. Twitter: twitter.com/falloutlorecast Twitch: twitch.tv/robotsradio Email: falloutlorecast@gmail.com Discord: https://discord.gg/JXKfVhM Patreon: patreon.com/falloutlorecast ROBOTSRADIO.net Join the Fallout community to explore the edge of our knowledge about the world of Fallout. Weekly Lore discussion. Fallout 1 to Fallout 76. In this episode, we discuss the origin, research, and importance of West Tek. Twitter: twitter.com/falloutlorecast Twitch: twitch.tv/robotsradio Email: falloutlorecast@gmail.com Discord: https://discord.gg/JXKfVhM Patreon: patreon.com/falloutlorecast ROBOTSRADIO.net Join the Fallout community to explore the edge of our knowledge about the world of Fallout. Weekly Lore discussion. Fallout 1 to Fallout 76. The lore behind Vault 15 and it's connection to Shady Sands and 3 of the most vile groups of raiders in the wasteland. Twitter: twitter.com/falloutlorecast Twitch: twitch.tv/robotsradio Email: falloutlorecast@gmail.com Discord: https://discord.gg/JXKfVhM Patreon: patreon.com/falloutlorecast ROBOTSRADIO.net Join the Fallout community to explore the edge of our knowledge about the world of Fallout. Weekly Lore discussion. Fallout 1 to Fallout 76. Duke from Out of the Vault joins me to discuss our thoughts on Power Armor. www.outofthevaultshow.com Twitter: twitter.com/falloutlorecast Twitch: twitch.tv/robotsradio Email: falloutlorecast@gmail.com Discord: https://discord.gg/JXKfVhM Patreon: patreon.com/falloutlorecast ROBOTSRADIO.net Join the Fallout community to explore the edge of our knowledge about the world of Fallout. Weekly Lore discussion. Fallout 1 to Fallout 76. The lore behind Vault 13 and an invasion by intelligent deathclaws. Twitter: twitter.com/falloutlorecast Twitch: twitch.tv/robotsradio Email: falloutlorecast@gmail.com Discord: https://discord.gg/JXKfVhM Patreon: patreon.com/falloutlorecast ROBOTSRADIO.net Join the Fallout community to explore the edge of our knowledge about the world of Fallout. Weekly Lore discussion. Fallout 1 to Fallout 76. The origins and ideology of the Enclave. Twitter: twitter.com/falloutlorecast Twitch: twitch.tv/robotsradio Email: falloutlorecast@gmail.com Discord: https://discord.gg/JXKfVhM Patreon: patreon.com/falloutlorecast ROBOTSRADIO.net Join the Fallout community to explore the edge of our knowledge about the world of Fallout. Weekly Lore discussion. Fallout 1 to Fallout 76. The lore behind Vault 12 and the origins of a ghoulish city. Twitter: twitter.com/falloutlorecast Twitch: twitch.tv/robotsradio Email: falloutlorecast@gmail.com Discord: https://discord.gg/JXKfVhM Patreon: patreon.com/falloutlorecast ROBOTSRADIO.net Join the Fallout community to explore the edge of our knowledge about the world of Fallout. Weekly Lore discussion. Fallout 1 to Fallout 76. The lore behind Vault 11 and the dilemma of self-preservation versus morality. Twitter: twitter.com/falloutlorecast Twitch: twitch.tv/robotsradio Email: falloutlorecast@gmail.com Discord: https://discord.gg/JXKfVhM Patreon: patreon.com/falloutlorecast ROBOTSRADIO.net Join the Fallout community to explore the edge of our knowledge about the world of Fallout. Weekly Lore discussion. Fallout 1 to Fallout 76. The origins of the Brotherhood of Steel and Roger Maxson. Twitter: twitter.com/falloutlorecast Twitch: twitch.tv/robotsradio Email: falloutlorecast@gmail.com Discord: https://discord.gg/JXKfVhM Patreon: patreon.com/falloutlorecast ROBOTSRADIO.net Join the Fallout community to explore the edge of our knowledge about the world of Fallout. Weekly Lore discussion. Fallout 1 to Fallout 76. The lore behind Vault 8 and Vault City. Twitter: twitter.com/falloutlorecast Twitch: twitch.tv/robotsradio Email: falloutlorecast@gmail.com Discord: https://discord.gg/JXKfVhM Patreon: patreon.com/falloutlorecast ROBOTSRADIO.net Join the Fallout community to explore the edge of our knowledge about the world of Fallout. Weekly Lore discussion. Fallout 1 to Fallout 76. The lore behind Vault 3. 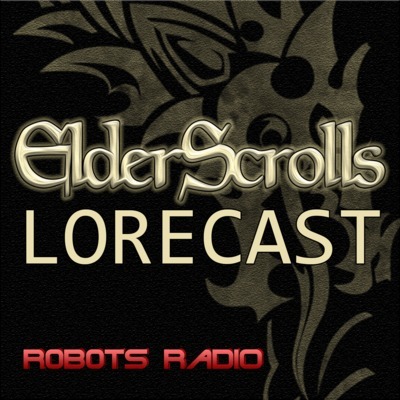 Twitter: twitter.com/falloutlorecast Twitch: twitch.tv/r0b0ts Email: falloutlorecast@gmail.com Twitter: twitter.com/falloutlorecast Twitch: twitch.tv/robotsradio Email: falloutlorecast@gmail.com Discord: https://discord.gg/JXKfVhM Patreon: patreon.com/falloutlorecast ROBOTSRADIO.net Join the Fallout community to explore the edge of our knowledge about the world of Fallout. Weekly Lore discussion. Fallout 1 to Fallout 76. The lore behind Vault-Tec Corporation. Twitter: twitter.com/falloutlorecast Twitch: twitch.tv/robotsradio Email: falloutlorecast@gmail.com Discord: https://discord.gg/JXKfVhM Patreon: patreon.com/falloutlorecast ROBOTSRADIO.net Join the Fallout community to explore the edge of our knowledge about the world of Fallout. Weekly Lore discussion. Fallout 1 to Fallout 76.
Who Dropped the First Bomb? The lore behind who dropped the first bomb and why. Twitter: twitter.com/falloutlorecast Twitch: twitch.tv/robotsradio Email: falloutlorecast@gmail.com Discord: https://discord.gg/JXKfVhM Patreon: patreon.com/falloutlorecast ROBOTSRADIO.net Join the Fallout community to explore the edge of our knowledge about the world of Fallout. Weekly Lore discussion. Fallout 1 to Fallout 76. The lore behind the Great War. Twitter: twitter.com/falloutlorecast Twitch: twitch.tv/robotsradio Email: falloutlorecast@gmail.com Discord: https://discord.gg/JXKfVhM Patreon: patreon.com/falloutlorecast ROBOTSRADIO.net Join the Fallout community to explore the edge of our knowledge about the world of Fallout. Weekly Lore discussion. Fallout 1 to Fallout 76.